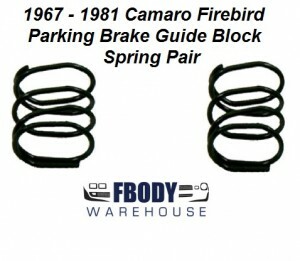 For use on 1967 - 1981 Camaro and Firebird Trans Am. Correct reproduction Green guide bar springs. First time offered separately from park brake lever kit. 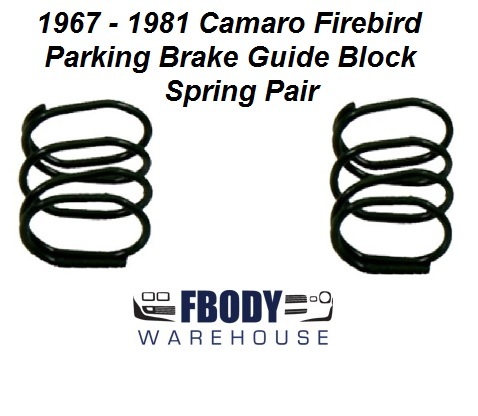 Correct reproduction Green guide bar springs for the emergency brake pedal assembly. First time offered separately from park brake lever kit.